An integrated model of human psychology and individual differences. 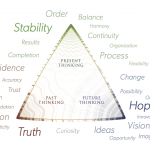 The MindTime Foundation conducts research into the nature of human thinking and behavior through the lens of time. We have multiple papers published in peer reviewed journals, conference keynotes, and contributions to parallel research which all underline our commitment to the scientific underpinnings of MindTime. 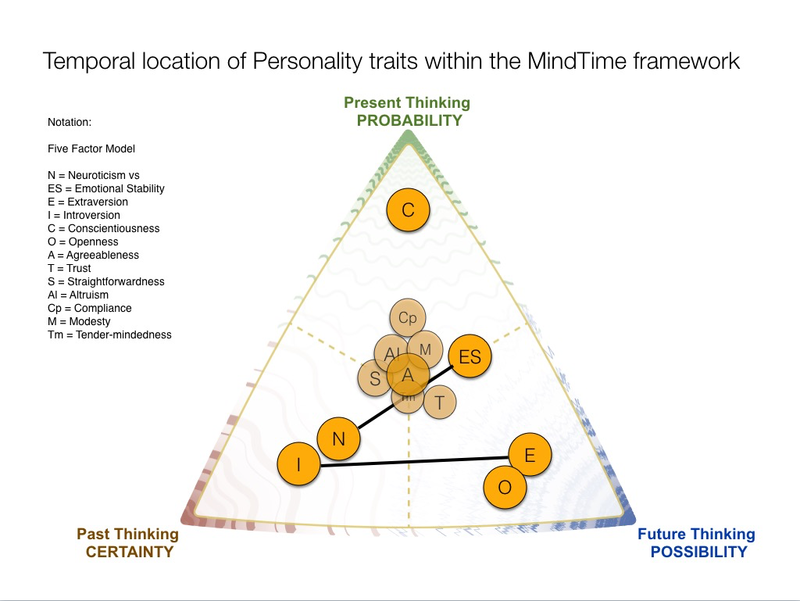 You can also see our introduction to the MindTime model, focusing on comparisons with the Big-5 model of personality. According to modern cosmologists, the evolution of consciousness corresponded with the evolution of matter into increasingly complex, elaborate, and interactive systems, with the human brain providing the highest level of complexity known. 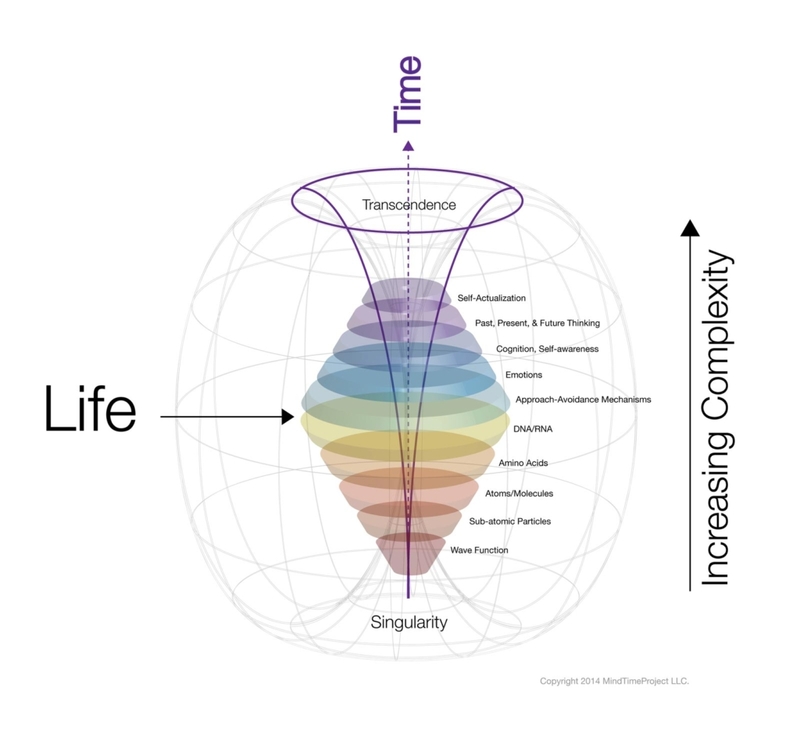 Psychological research shows that just about all of human experience is dependent upon and influenced by how individuals perceive time, localize themselves consciously within space and time, process their temporally- based perceptions and experiences, and utilize their episodic and semantic memory structures to engage in mental time travel. We propose that over the course of evolution, sensitivities toward perceiving potentially pleasurable/appetitive and aversive/harmful environmental stimuli and the motivation to approach and/or avoid such stimuli moved beyond reflexive, innate, and learned associative neural networks and became increasingly influenced by, and in turn influenced, the cognitive structures associated with organisms’ ability to perceive and conceptualize time. 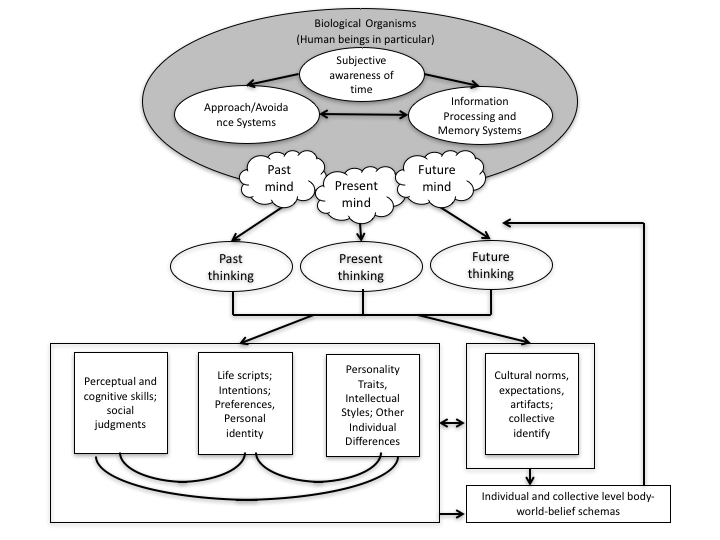 In this paper, we present a theory of consciousness and psychology in which we propose that three general yet distinct cognitive patterns, or thinking perspectives, exist, which we refer to as Past, Present, and Future thinking, and that these three patterns are universal conditions of consciousness and form the foundation and framework for understanding, in particular, all of human thought and interaction, from the individual to the collective, and from the formation of an idea to the creation of cultures and artifacts based on those ideas. ©2014 The MindTime Project. All rights reserved. 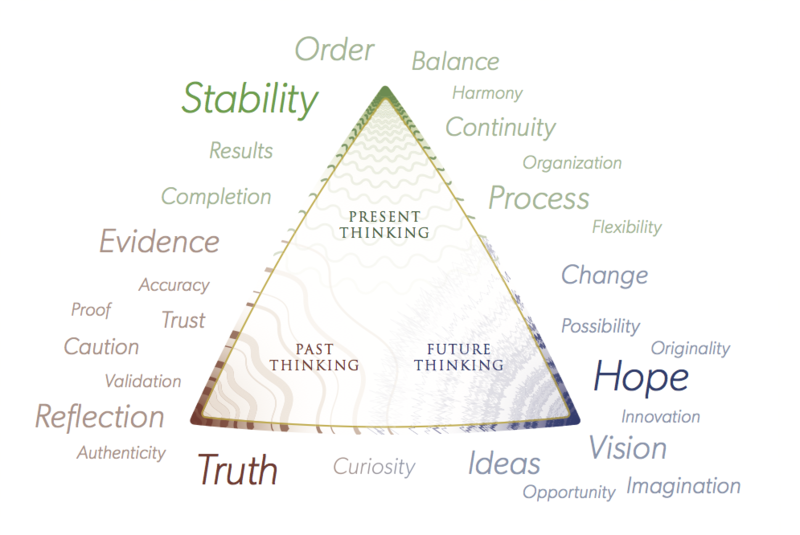 According to the theory of MindTime, the ability of human beings to dissociate from the present moment and engage in mental time travel gave rise to the development of three distinct thinking perspectives: Past, Present, and Future thinking, and the extent to which individuals utilize the three thinking perspectives, in combination, influences the types of task environments they prefer. 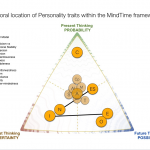 In this study, we took a profile approach and examined the extent to which individuals manifest different patterns of thinking styles based on their thinking perspective profile. Six hundred and eighty-three graduate students enrolled in an on-line university participated in the study. Results supported our hypothesis: all univariate tests using profile as the grouping variable were statistically significant. 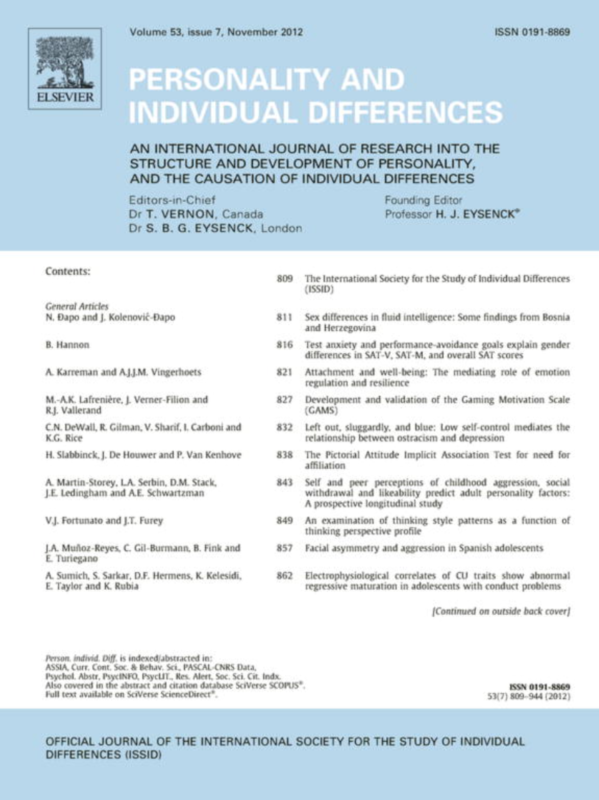 Moreover, the pattern of statistically significant post hoc tests shows that individuals manifested different patterns of thinking styles depending on their thinking perspective profile. Our findings show the importance of taking a holistic approach when examining the combined influence Past, Present, and Future thinking on outcome variables of interest. ©2012 Elsevier Ltd. All rights reserved. 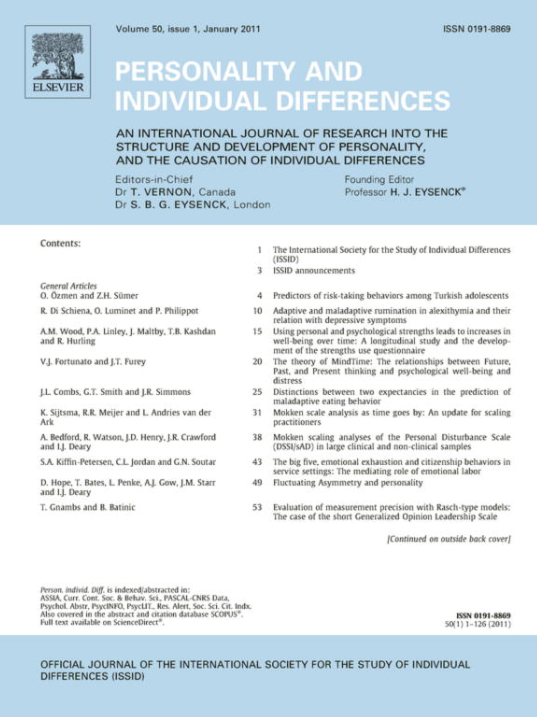 This manuscript introduces a theory of individual differences based on the arguably unique ability of human beings to engage in mental time travel (Suddendorf & Corballis, 1997). The Theory of MindTime posits that the ability to engage in mental time travel gave rise to the development of three distinct patterns of thinking: Past thinking, Future thinking, and Present thinking, and that measurable individual differences exist in the extent to which each of the three thinking perspectives are utilized. In this manuscript, we present an overview of the theory and examine the construct validity of a three dimensional measure of thinking based on the theory by examining relationships between scores on this measure with scores on Costa & McCrae’s (1992) Five-Factor Inventory (FFI). Data were collected from 819 undergraduate students (59.6% female; 83.3% Caucasian). In general, the results supported our hypotheses that Future, Past, and Present thinking would differentially relate to scores on subscales of the FFI. 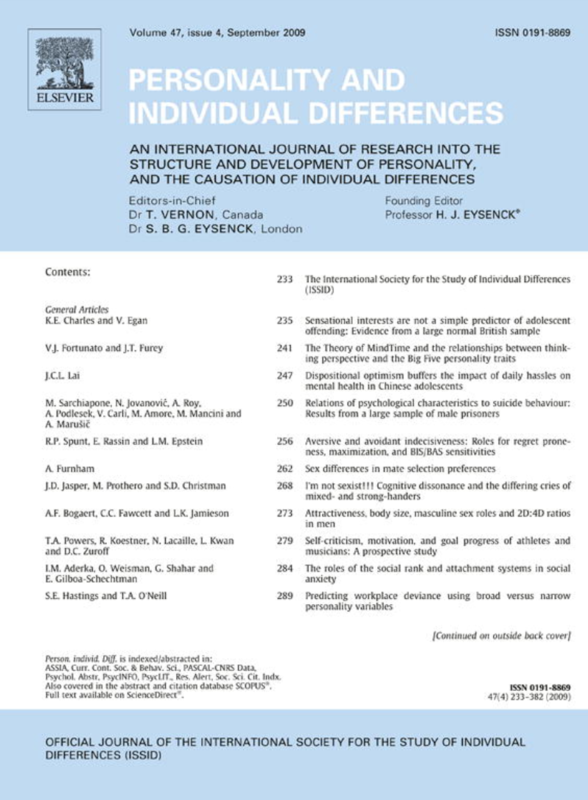 Based on recent advances in cognitive and comparative psychology, we posit that the arguably unique human ability to decouple primary mental representations from the present moment and place them into different temporal localities (i.e., form secondary mental representations of objects) as well as the ability to form higher-order mental representations of secondary representations (meta-representations) gave rise to the development of three distinct patterns of thinking: Future thinking, Past thinking, and Present thinking. Moreover, we posit that measurable individual differences exist in the extent to which each of the three thinking perspectives are utilized and that such differences influence the manifestation and expression of personality and well-being. In this study, five hundred eighty participants completed the TimeStyle Inventory and measures of resiliency, optimism, cynicism, anxiety, and depression. Our results indicated that Future, Past, and Present thinking correlated as hypothesized and shared unique variance with the dependent variables. Our findings support the theory of MindTime and have implications for personality theory and stress research. ©2010 Elsevier Ltd. All rights reserved. According to the Theory of MindTime (Fortunato & Furey, 2009; Furey, 1994; Furey & Stevens, 2004), (a) three distinct patterns of thinking – Past thinking, Present thinking, and Future thinking – evolved in concert with the ability of Homo Sapiens to engage in mental time travel (e.g. 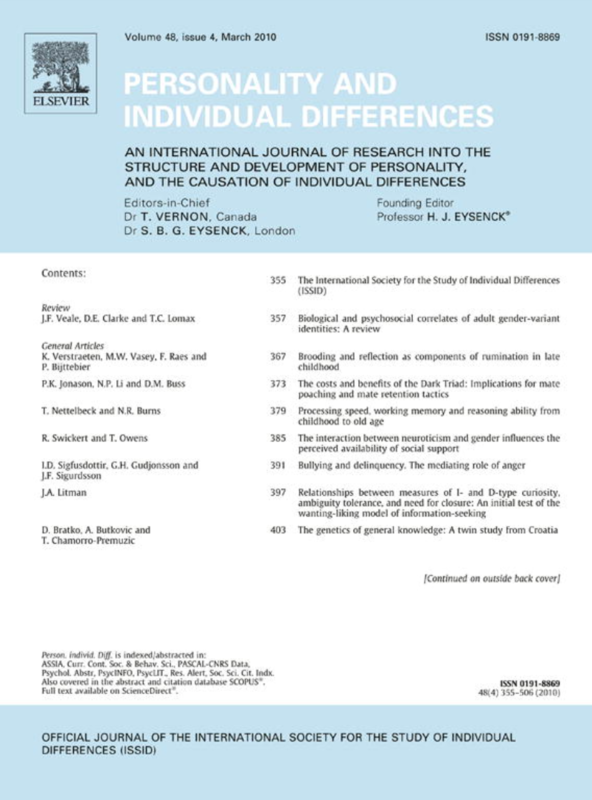 Suddendorf & Corballis, 1997) and (b) measurable individual differences exist in the extent to which people utilize the three thinking perspectives. In this manuscript, we compare and contrast the three thinking perspectives with the constructs of time perspective and time orientation. In addition, we examine the construct validity of scores on a three-dimensional measure of thinking perspective – the TimeStyle Inventory – with scores on Zimbardo and Boyd’s (1999) Time Perspective Inventory. Data were collected from 813 undergraduate students. In summary, our findings provide support for the conceptual distinction between the two constructs as well as the construct validity of scores on the TimeStyle Inventory.